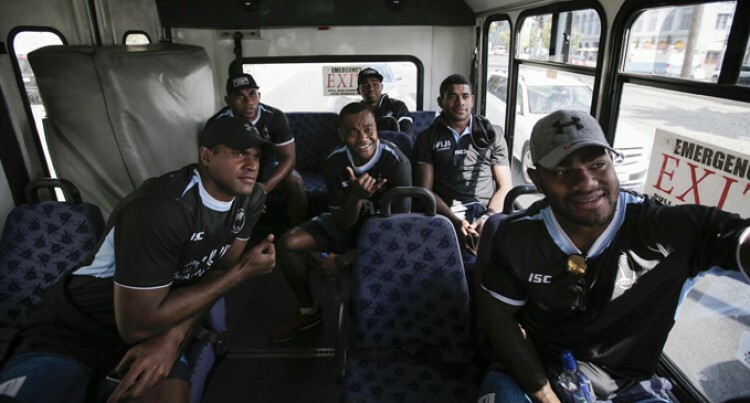 The pressure by the Fiji Airways Fijian 7s team during the World Sevens Series has mentally strengthened the South African team. This was confirmed by coach Neill Powell who said the way his team handled the pressure in the last tournament of the series has given them confidence going into Rugby World Cup Sevens tournament in San Francisco this weekend. More than a month has passed since the Blitzboks’ improbable World Rugby Sevens Series win in Paris, where Powell’s depleted team beat New Zealand in the semifinals and England in the final to secure the title of world champions after Fiji’s shock exit from the Cup competition in the quarters. Powell would have preferred to play the World Cup straight after Paris, to use that momentum and go after the one sevens prize that has eluded the South Africans. But he will definitely make use of the mental toughness that his players showed in the knockout stages in Paris, which will help them tame this beast of a format. The tournament will be played in a straight-up knockout format, and the eventual champions will have to win every match in order to lift the Melrose Cup. As such, it’s not like a normal event on the sevens circuit, which features pool play before a knockout stage. “It’s straight knockout. If you lose, you have no chance to make it to the cup competition. “This is going to be more of a psychological test rather than a physical one [at the World Cup]. The Blitzboks will play either Ireland or Chile in their first match of the tournament, in the Championship Cup quarterfinals. The top-seeded South Africans join the competition in the second round of matches, as only the teams seeded No. 9 to 24 contest the first round. The Irish have been impressive after winning World Series status earlier this year in Hong Kong. They beat England at Twickenham in the London Sevens third-place playoff last month, and have a lot of speed in their team. They are certainly the sort of team who can shock the Blitzboks. “We play our first game late on Saturday [in San Francisco], which is going to make it a very long day to sit and wait,” Powell said. “Teams playing in the first round have got an advantage, getting that first match under the belt. We are only playing in the second round — seeds one to eight — and we have to make sure that we have momentum and self-belief before we start.